The story of the lost Caravaggio found in an attic in France has captured the attention of both art world experts and the general public since it was discovered in 2014. Unveiled yesterday at Colnaghi gallery and due to be auctioned at La Halle aux Grains in Toulouse in June, we look back at the journey of the painting from obscurity in a dust-filled attic to media spotlight and controversy. April 2014: On the 23 April, the auctioneer Marc Labarbe is called to the private home of a client in Toulouse, France, to appraise a large canvas. Reportedly, burglars had broken into the home to steal items, but had left the painting, deeming it worthless. The painting depicts the biblical story of Judith, a young widow in the city of Bethulia who puts an end to the Assyrian siege on her city by seducing and beheading the general Holofernes. A 30-month export ban is placed on the work by the French government as tests are carried out to determine its authenticity. April 2016: Following two years of authentication, including three weeks in the laboratories of the Louvre Museum, the work is unveiled to the press in Paris on 12 April and pronounced a “national treasure” by the French culture minister. Another Caravaggio expert, Mina Gregori, tells the New York Times that she believes the painting is a copy by the Flemish artist Louis Finson. Asked if the development presents a new dilemma for Caravaggio scholars, Richard Spear, an Italian Baroque expert at Princeton University, says: “It's not a dilemma nor necessarily a surprise since opinions on the attribution are divided.” Turquin tells us meanwhile: "I am more convinced than ever that the picture is the lost Caravaggio seen by [the Flemish painter] Frans Pourbus in 1607." November 2016: The work goes on display to the public for the first time at Milan’s Pinoteca di Brera, alongside the institution’s Caravaggio masterpiece, the Supper at Emmaus (1605-06). 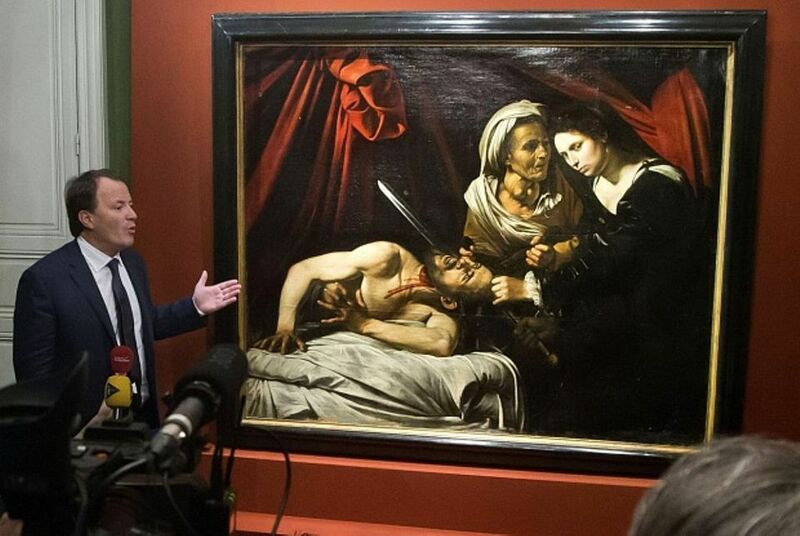 The director James Bradburne says that the exhibition Caravaggio: a Question of Attribution, will give the general public a unique opportunity to assess the controversial attribution for themselves. The choice to display an unattributed Caravaggio causes controversy and the art historian Giovanni Agosti resigns from Brera’s advisory committee in protest against the “uncritical” presentation of a painting that is “not only private property but for sale”. January 2019: On the 24 December the export ban is lifted. The ban was put in place partly to allow the Louvre enough time to decide whether it would purchase the work, which it does not. With the painting allowed to circulate freely, Turquin tells Le Figaro: “This allowed us to begin cleaning [the piece] immediately. But a decision about any sale will definitely not be taken before the work is restored. This will be down to the family [owners] and the auctioneer in Toulouse [Labarbe] who represents them”. February 2019: The work travels to London to go on display at the Colnaghi gallery from 1-9 March before it goes back to Toulouse for the auction this summer. Turquin says that, “it will be an auction without reserve. It will be a real sale, no guarantees, no nothing, a real auction", and suggests that a museum will be the likely buyer. The discovery means there are now 68 known paintings attributed to Caravaggio.